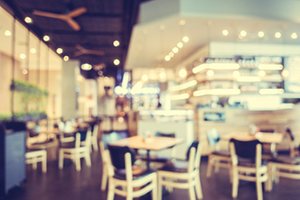 If you or a loved one were injured at a Bonefish Grill restaurant in Florida, then you are well advised to contact a Florida Bonefish Grill accident attorney. At the Wolfson Law Firm, our Florida accident attorneys have helped negligently injured victims since 1963 and they are ready to help you too. Call us for your free consultation at (855) 982-2067 today and let us answer whatever questions you have about your Florida Bonefish Grill accident. As with any other restaurant in Florida, Bonefish Grill is obliged to keep their customers safe while they are therein. Under Florida premises liability laws, Bonefish Grill is obligated to keep their premises safe, so that no one gets injured. This includes but is not limited to keeping floors and entrances safe from slipping, making sure that the foods they serve are perfectly safe for consumption, and that premises are well secured. Therefore, Bonefish Grill may be liable for any injury sustained as a result of their failure to carry out any of these duties. Bonefish Grill is one of the Florida’s favorite places to have dinner. The success story of this seafood restaurant chain started out from Florida in 2000. Nowadays, they can be found in many other states, but Florida is still their base. Although seafood is the staple of their menu, the company is active in the field of protecting marine life. When they get new supplies, they keep to the reports and recommendations of the National Oceanic and Atmospheric Administration. Fortunately, most slip and fall accidents don’t result in serious injuries, but it is your right to claim for damages and it is just to do so. If you or your loved ones have suffered Bonefish Grill personal injuries in Florida, make sure you call a Florida injury lawyer to figure out if your accident qualifies for damages recovery and what can be done about it. Don’t hesitate to call us. Our consultations are free. Just call us at (855) 982-2067 and let’s discuss the specifics of your Bonefish Grill accident and injury. Our Florida personal injury attorneys are available for consultation and representation to all Floridians and all those who visit our great state. In Florida our Bonefish Grill injury lawyers serve all the Florida communities including Miami, Fort Lauderdale, Key West, Naples, Jacksonville, Orlando, Melbourne, Tampa, St. Petersburg, Sarasota, Fort Myers, Bradenton, Naples, Kissimmee, Cape Coral, Gainesville, Vero Beach, Golden Gate, Estero, Bonita Springs, Melbourne, Winter Haven, Bradenton, Lakeland, Sarasota, Orlando, Tampa, St. Petersburg, Winter Garden, Altamonte Springs and Tallahassee. Our accident and injury attorneys are available by appointment in our West Palm Beach, Fort Lauderdale and Miami offices. In addition, we have an office in Fort Myers. The Fort Myers Bonefish Grill injury lawyers at the Wolfson Law Firm are located at 3049 Cleveland Ave #140 in Fort Myers. We offer full personal injury representation to all victims of negligence in Southwest Florida including the communities of North Fort Myers, Lee County, Fort Myers Shores, Bonita Springs, Marco Island, Collier County, Immokalee and Sanibel. Call our Fort Myers accident attorneys for your completely free and confidential consultation at (239) 777-9954. We never charge you and your family a fee unless we first acquire financial compensation for you.